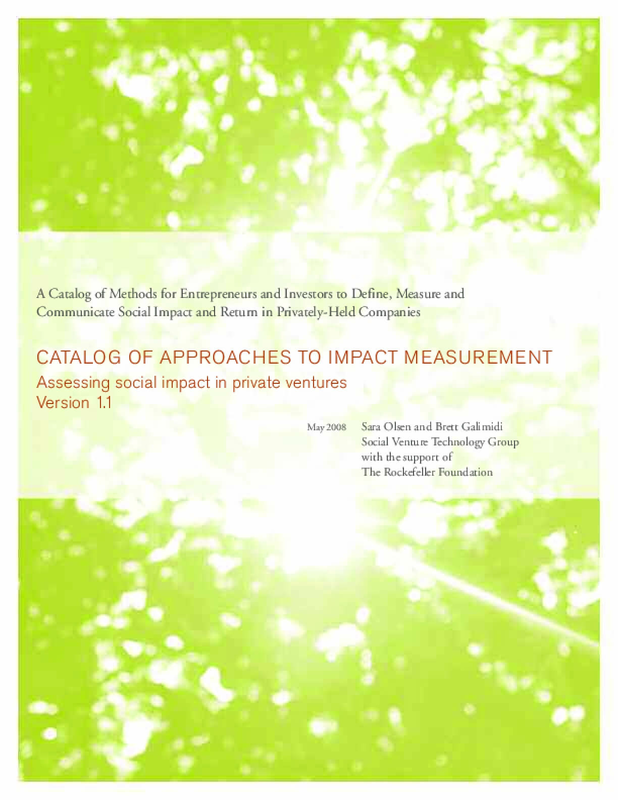 To inform action impact investors could take to measure impact in a coordinated manner, The Rockefeller Foundation commissioned the study of impact assessment approaches presented here. It is natural to hope to find a single, turnkey solution that can address all measurement needs. In this study we conducted a survey of impact investors and complemented it with seven years of experience in the field of impact investing to discover what these investors want from impact measurement, and conducted in-depth interviews with over twenty entities that have developed and implemented approaches to measuring impact. Our survey of existing approaches was thorough but surely is not comprehensive; however the approaches are a good representation of the current state of play. What we found is that there is not one single measurement answer. Instead the answer depends on what solution is most appropriate for a particular investor's "impact profile" defined as the investor's level of risk tolerance and desired financial return, the particular sector in which the investor operates, geography, and credibility level of information about impact that the investor requires.